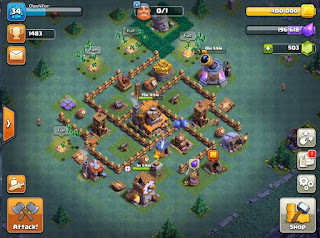 On the Home Village (HV) side, most defenses are level 1 or level 2. You’ll recall we took the HV to TH6 very quickly, using gems picked up along the way (initial investment: $50) so we could access both Clan Games (TH6) and the Builder Base (TH4). This would typically take a few weeks to complete running F2P with regular raiding. The current state of the game is not much to speak of - raids are done using GiBArch (L2/L3) and upgrades were focused first and foremost on storages, with defenses coming afterwards as troops are upgraded. Going back to our rules for the hyper-rush project, the key here is to get things to a point where they CAN be upgraded and that requires resource storage capacity and a high enough level of troops to be able to farm resources. There’s only so many hours in the day, and my primary focus is on the Builder Base, so the pace will slow down here. On the Builder Base (BB), I just pulled the trigger on the BH5 upgrade. 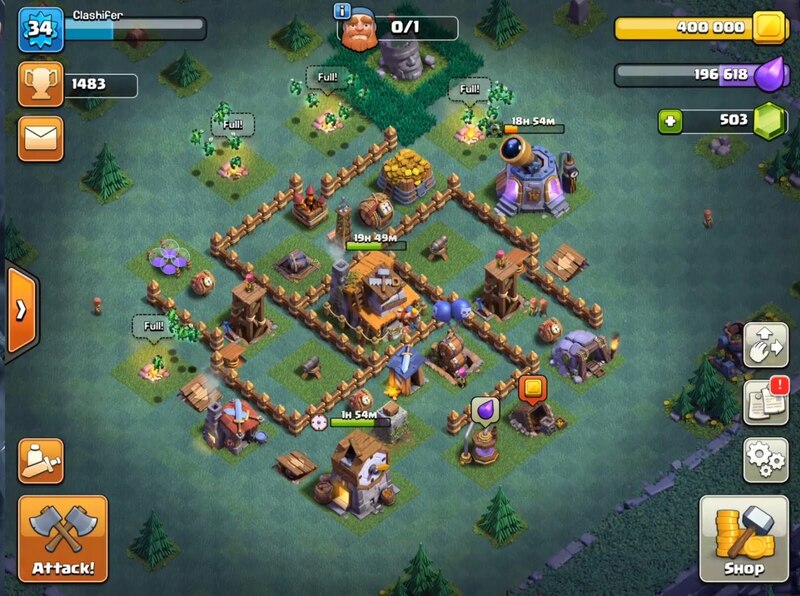 All defenses are still at level 1. To prevent overflowing Gold while storages were upgrading, I dumped it into walls. This may seem a bit counterintuitive but, for this hyper-rush, I wanted to see h ow lower level defenses would perform in a “bulk” sense - in other words, how does the sheer breadth of a base make it compete against similar BH levels. 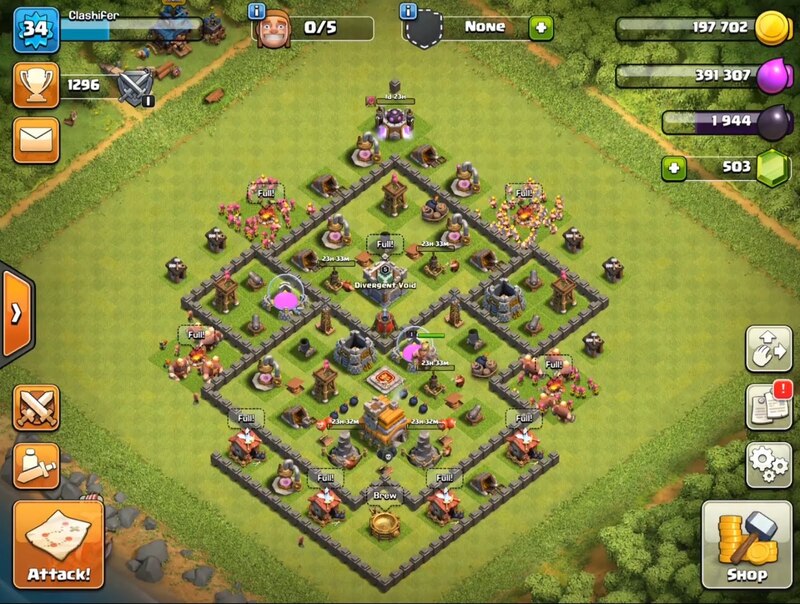 Right now, the game is at 1483 trophies as a BH4 so it isn’t doing too bad. Troop-wise, I made the switch from Raged Barbarians to Beta Minions. This requires a little bit more time at BH4 (day or two) but I’ve found it to be well worth the effort. Beta Minions are a very serviceable troop that enable a 50:50 win:loss ratio or better. They are currently level 6 going to level 7 and I will get them to level 8 right away. Ideally, I would have waited a little bit longer at BH4 to get them to level 8 but I was already seeing BH5 opponents, so I decided to pull the trigger a little early. BH5 will be about a 2 week exercise. It takes a while to get the storages upgraded, the Battle Machine needs to be repaired, and it’s important to go to BH6 with level 10 Beta Minions (or have them upgrading). Additionally, I anticipate going up against BH6 there at the end, so I’ll be held down a little bit, meaning more time will be required to get daily wins and loot will be a bit lower. Next update will be in about 2 weeks as I wrap BH5. Stay tuned!